Corine Hyman is a clinical psychologist who has been helping families for close to 10 years. Currently, she lives in Baltimore, Maryland where she has opened her home to children without families by becoming a foster parent. 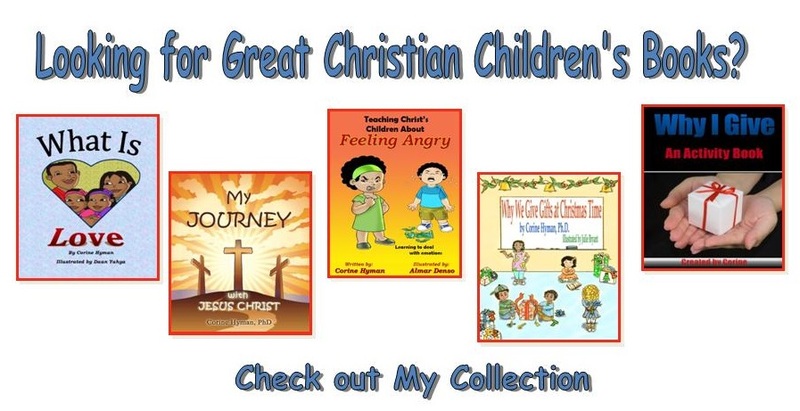 The idea for her first book, Why We Give Gifts at Christmas Time, was placed in her heart many years ago and since its publishing Corine has published several other books including: Teaching Christ's Children About Feeling Angry, What Is Love, My Journey with Jesus Christ, Jaden Goes to Foster Care, and Why I Give. With the exception of Jaden Goes to Foster Care, each book is designed to use the Bible to help both children and adults understand the biblical basis for why Christians do what they do. Look for her upcoming book tentatively titled Teaching Christ's Children about Godly Feelings in January 2016. To help name a character in her upcoming book, email her at booksbycorine@gmail.com. If you have a moment check out my blog. Julie Bryant lives in Napa, California where she was born and raised . . . . . a Napkin! Julie has illustrated and designed over 19 books, including Why We Give Gifts at Christmas Time. Her illustrations are created using digital watercolors and pencil on a digital drawing tablet. To contact Julie Bryant, go to www.sweetartdesign.com for her original books, samples of her book designs, and to view her sweet illustrations. Jared has been a free-lance illustrator and caricature artist for over twenty years. He recently illustrated a children's book/coloring book called Mary Elaine's Special Words for a local non-profit ministry, whose goal is to reach out to children with cancer and their families. Jared's work ranges from whimsical to realism, depending on the author's or publisher's preference. His attention to detail sets him apart from many other children's book illustrators in that his work as a caricature artist depends on it. Please visit his website at www.caricaturesbyjared.weebly.com to view samples of his work. He can be reached at caricaturesbyjared@gmail.com. Self-Publishing - is a book publishing service for the independent self-publisher. SSelf-Publishing provides not only printing and editing services but help with book layout, cover design and so much more. 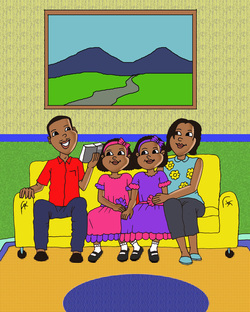 To visit their website click here self-publishing. Association for Christian Retail -is a helpful resource in finding Christian distributors, manufacturers, and marketing assistance. Author Publicity Pack - is a brief ebook that cover 115 places that authors of all genres can get publicity for themselves and their books. This book also includes 39 additional resources specifically for Christian authors. Purchase an ISBN - Bowker is the world's leading provider of ISBN numbers. Purchase in block of 10 at a discount.